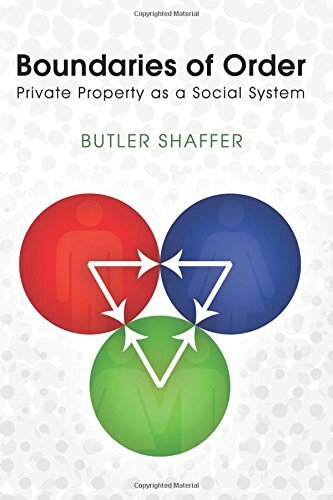 Boundaries of Order: P... Butler Shaffer Best Price: $7.36 Buy New $11.95 (as of 06:25 EDT - Details) Men and women desirous of living in a world of peace and individual liberty need look no further than to discover whether the principle of privately owned property is respected. 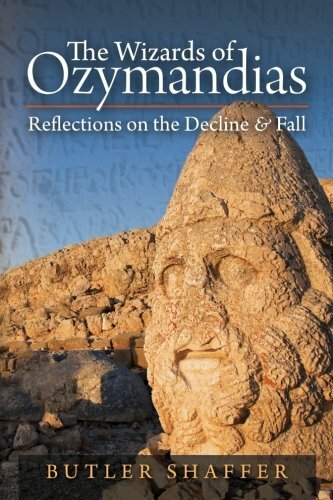 Societies in which thinking is dominated by the promotion of material wealth tend to allow this essential civilizing principle to erode in the face of supposedly “pragmatic necessities.” The humanizing qualities that depend upon long-term commitments to values that make our social lives worthwhile, are often ignored when we are engaged in the “real-world” demands of daily living. Thus does the sanctity of life get sacrificed in the practice of aborting unborn children, some of whom have their organs harvested for financial gain; or the “hydrogen bomb” improvement that allows the institutional order to only kill life forms, while leaving buildings, technologies, machines, and other material values intact; or the morally twisted thinking that gave Clinton administration Secretary of State, Madeleine Albright, comfort in defending her government’s policy of allowing some 500,000 Iraqi children to die as a consequence of economic sanctions. The Amish example is one to which each of us should pay close attention. 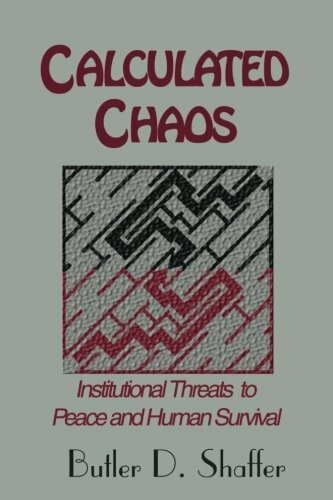 Most of us are so attached to our institutionally structured, technologically-dominated culture that we fail to ask the question: is the inviolability of the property principle, which is essential to peace, liberty, and social order, benefitted or weakened by new technology? The current fascination so many of us have with drone aircraft provides an opportunity to analyze whether such machinery can be employed by individuals in ways that respect the inviolate nature of one another’s property boundaries? The processes of legal reasoning have long been abetted by the use of “legal fictions,” (i.e., fabricated explanations of facts designed to help generate understanding of a legal doctrine). The long-held rule that defined the boundaries of real property ownership was an example of such a fiction. In much the same way that major paradigm shifts occurred in the history of the sciences (e.g., the abandonment of the geocentric model of the universe in favor of a heliocentric explanation), legal fictions have often undergone such shifts. The creation of technologies that challenged the premises upon which earlier property boundary doctrines were grounded, was one such instance. The courts were forced to reexamine the older legal concept, not so much for the purpose of destroying it, but to see if, indeed, it was truly consistent with the property principle itself. In my years of teaching property law, I found a surprising number of students who could not contemplate the idea of “space” – such as what exists above the surface of land – as being subject to private ownership. Perhaps this is to be expected in a culture grounded in the preeminence of material values. If, to paraphrase Gertrude Stein, “there is no ‘there’ there,” space, even above one’s own land, may make its relevance to the property concept difficult to grasp. Even the briefest study of astronomy should convince a student of how order in the universe is dependent upon massive quantities of space. When I suggest that the ownership of space above buildings in Times’ Square, or Sunset Boulevard in Hollywood, or Las Vegas, has great economic value to be marketed, the point becomes easier to grasp. But to what heights might such “empty space” rise, so as to provide a surface owner with grounds for legal protection against trespasses? Does an airplane flying thirty feet above your house violate your property interests? What about a plane flying thirty-five thousand feet overhead. The old common law rule would find an actionable trespass in both cases. But more modern courts would recognize that the fiction contained an element that was incompatible with the real-world nature of property ownership: the capacity of an owner to control what he owned. But how is this height to be determined? A 1946 U.S. Supreme Court case, United States v. Causby [328 US 256], effectively disposed of the ancient common law rule, while providing insight as to how air rights would be defined for constitutional purposes. A North Carolina chicken farmer’s land was adjacent to a parcel of land upon which the Army and Navy jointly operated an airfield. When planes took off or landed from this government facility, they flew from 63 to 85 feet in the air space above the Causby land. Causby brought an action, alleging that the U.S. government had taken an easement through his airspace. The outcome of the case turned on whether the boundaries of Causby’s land included the airspace above the surface and, if so, how far did such ownership extend? Those inclined to treat such a ruling as a judicial retreat from common law notions of property, would do well to consider that the legal fiction extending outward into the universe, is an idea with no application to real-world concerns over who gets to make decisions about what. Respect for the inviolability of individual property claims derives, in Lockean terms, from the need – and right – of each individual to extend his/her life-sustaining actions into the rest of nature; but without trespassing upon the equally respected property claims of others. A fiction that was grounded in real property boundaries measurable only in dimensions of light-years, hardly qualifies as a standard to be applied to modern human action in a physical world. The success of political systems depends upon confused and hazy definitions of “property.” If men and women understood how respect for the inviolability of private property interests would assure both individual liberty and social order, such awareness would continually generate questions about the propriety of government programs and policies. For this reason, the state – with the help of its allies in the courts, the media, and academia – needs to introduce and enforce vagueness regarding “property” questions. “Pollution” problems are addressed as “environmentalism,” instead of seeing such occurrences as the failure of property owners to internalize all the costs of their actions, by not trespassing – whether with smoke, industrial waste, or other by-products – upon the property interests of others. It is politically-incorrect to ask whether an unborn child is a self-owning human being, the abortion question being recast as a “women’s rights” issue. With the modern state enjoying an increased use of tools with which to wiretap, spy upon, or otherwise surveil telephone conversations, computer files, or other personal conduct or communications; the private property violations implicit in such intrusions is transformed from objectively-described trespasses into amorphous and vague questions as to whether a property owner had a “reasonable expectation of privacy.” The word “reasonable” has long been a weasel-word with which the state is allowed to validate its own conduct! “Trespass” questions – such as “did the defendant ride his bicycle across plaintiff’s lawn” provide “yes” or “no” factual responses that do not depend upon a judge’s interpretation of whether plaintiff’s objection was “reasonably” grounded. 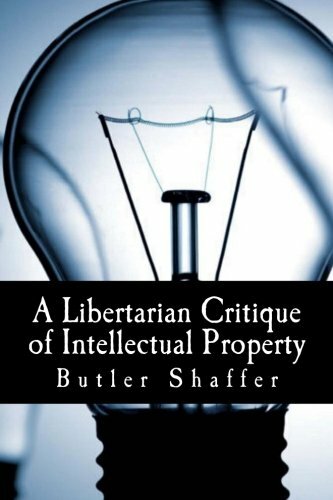 The Wizards of Ozymand... Butler Shaffer, Butler... Best Price: $12.27 Buy New $7.45 (as of 08:10 EDT - Details) The “nuisance” doctrine is another rapidly-expanding alternative to “trespass” as a means of transferring the authority to treat factually-based violations of property boundaries from “owners” to judges; judges who are not confined to finding actionable trespasses, but enjoy the subjective power to determine the “reasonableness” of the parties’ conduct. If A, without the consent of his neighbor, B, rode his bicycle across B’s lawn, B’s cause of action, grounded in trespass, would provide the court with little more than the power to make an evidentiary determination as to whether the intrusion took place. But let us suppose that A painted his house in a two-tone fuchsia and chartreuse coloration, for which B sought legal redress. In such a case, B could not base his action upon “trespass,” as A’s acts took place solely on his land. But with the private nuisance doctrine – defined in terms of whether A’s actions amounted to a “substantial and unreasonable interference with B’s quiet use and enjoyment of his land” – B might prevail. The court would be free to decide, based upon hazy, subjective, and emotionally-driven standards, whether A – who has confined his decision-making to his land – has nevertheless legally offended B. In a culture whose foundations embrace the technological imperative as a first principle, I suspect that drones will soon find themselves to be additional beneficiaries of the further erosion of the private property principle, in favor of a state-favored standard of “reasonableness.” The value, to government intelligence agencies, of drone technology being able to more closely spy upon Americans, will make it easy for courts to find a “reasonable” distinction between government spying and a teenager using his drone to peer into the bedroom window of a fellow female student. That such contradictory outcomes can occur within the framework of a Constitution whose words in the original seven articles and Bill of Rights have not been altered – but only “reinterpreted” – since 1791, should make us aware of how dangerous it is to allow the state to define its own powers!